Do you know a little baby that needs to keep warm this winter? 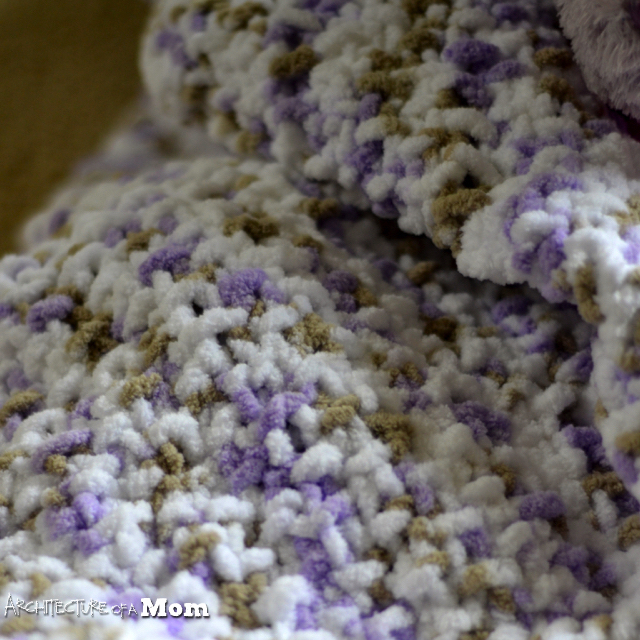 My friends had a preemie little girl--I think I mentioned her birth before Christmas, and I made this plush seed stitch blanket for her. I actually started working on it about a week before she was born--I thought I had plenty of time--boy was I wrong! But she didn't need it early on in the hospital, so I worked on it along with all my other projects and completed it right after the new year. 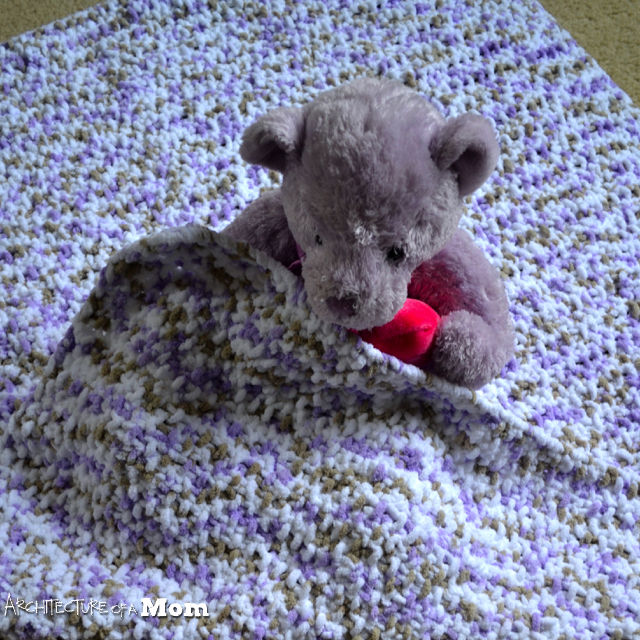 But we're hoping she's going to come home from the NICU very soon--it's coming up on her 100th day at the hospital, and I wanted to give her this to keep her warm when she goes home this winter. 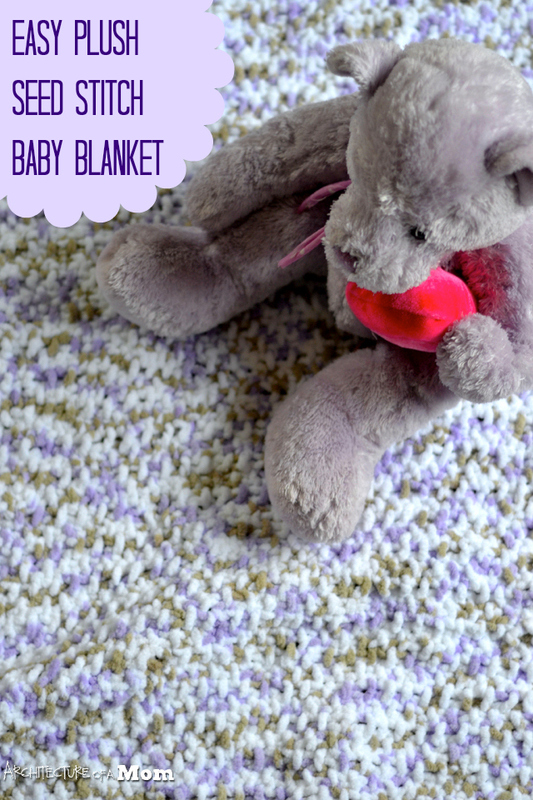 If you know how to knit and purl, you can make this easy blanket! 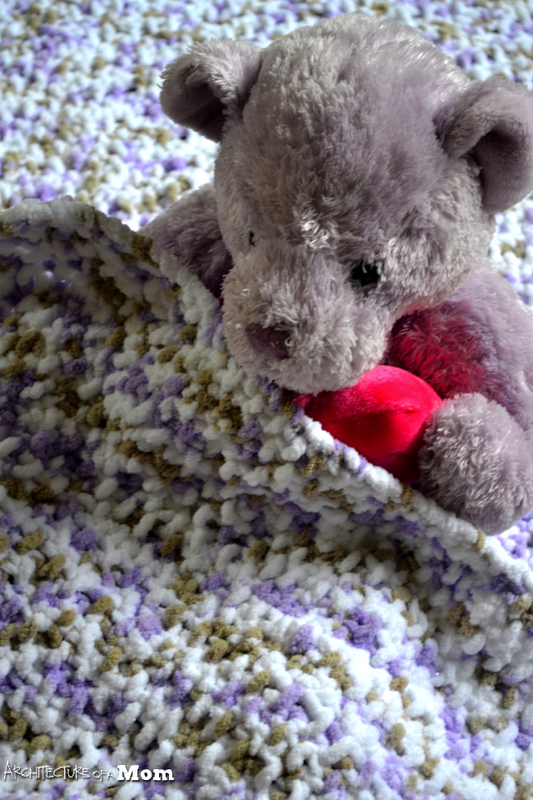 This blanket measures 36"x40", but you can make it any size you want. Just make a swatch to figure out the gauge of your knitting with your chosen yarn, do a little math, and figure out how many stitches you need to make a blanket the size you want. 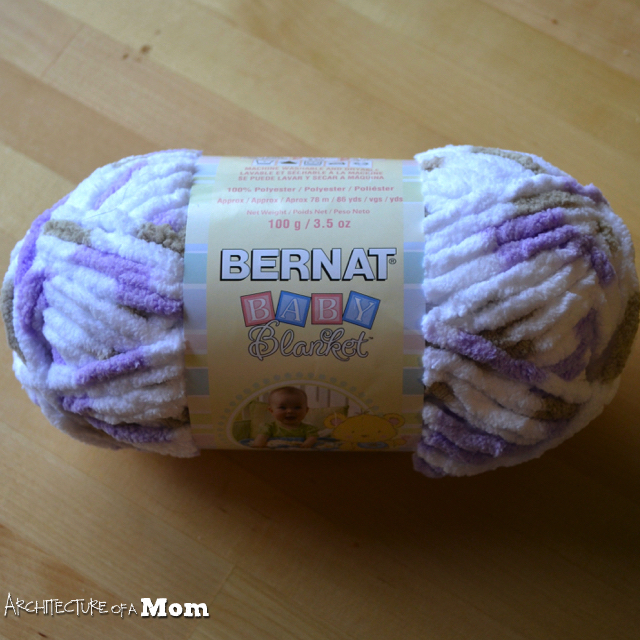 I used this Bernat Baby Blanket yarn--it's very fluffy and soft and knits up really quickly. Row 1: *K1, P1 * repeat to the end of the row. You will end on a knit stitch. Row 2: Slip 1 as if to knit, *P1, K1* repeat to end of row. Repeat Row 2 until you have reached your desired size. Cast off. Weave in ends. Yes, it's really that easy! I love how the seed stitch makes a tweedy texture!